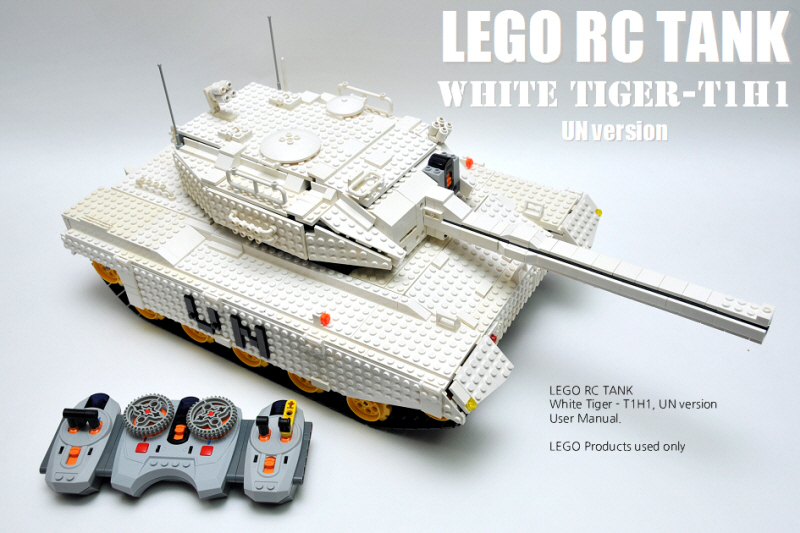 Gyuta is a builder from South Korea, member of BrickInside and also the author of the Transformable Wall-E.
One of his latest creations, is a LEGO RC Tank - White Tiger, T1H1 (UN Version). Variable steering (3 XL-motor combinations, based on a Dual Differential Drive (DDD) setup. You may found many other images and details about the White Tiger construction at Gyuta Brickshelf folder and MOCpages. It doesn't look very Technic-y with all those studded Lego plates, but this is very cool! Absolutely incredible. I want one.